WX Hayden is a timeless model that combines great aviator styling with exceptional quality and performance. A lightweight and comfortable stylish frame that offers same level of protection as many other full frame WX glasses do. The rubberized nosepiece and perfect curved temples offers you a secure fit all day, when performing the kind of activity, you love most. Even doing so your cool factor will never be compromised. 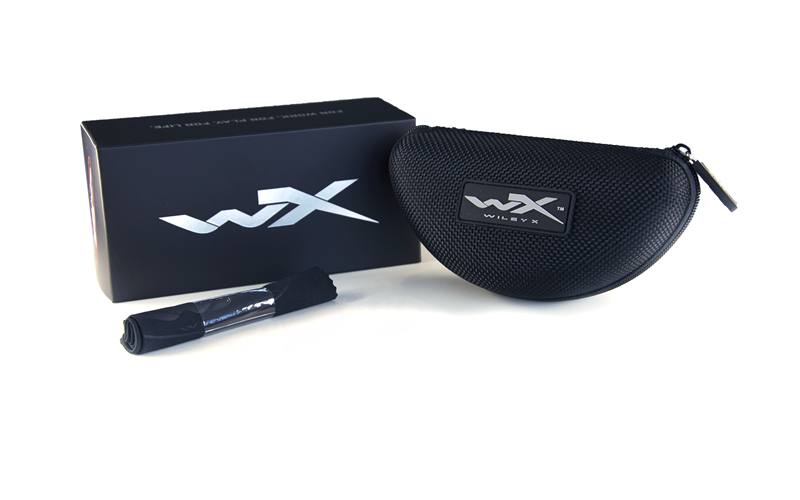 The Wiley X Filter 8TM Polarized Silver Flash (Smoke Grey) polycarbonate lens is the darkest polarized lens that Wiley X offers. The lens treated and designed with the multi-coat, Z-Oxide mirror over smoke lenses. The lens reduces glare and is excellent on bright days. The WX polarized lenses provides 100% UV protection and is coated with hydrophobic and anti-reflective coating protected by the T-ShellTM scratch resistant layers.